(Newburyport) Have some sympathy for Amesbury, would you! 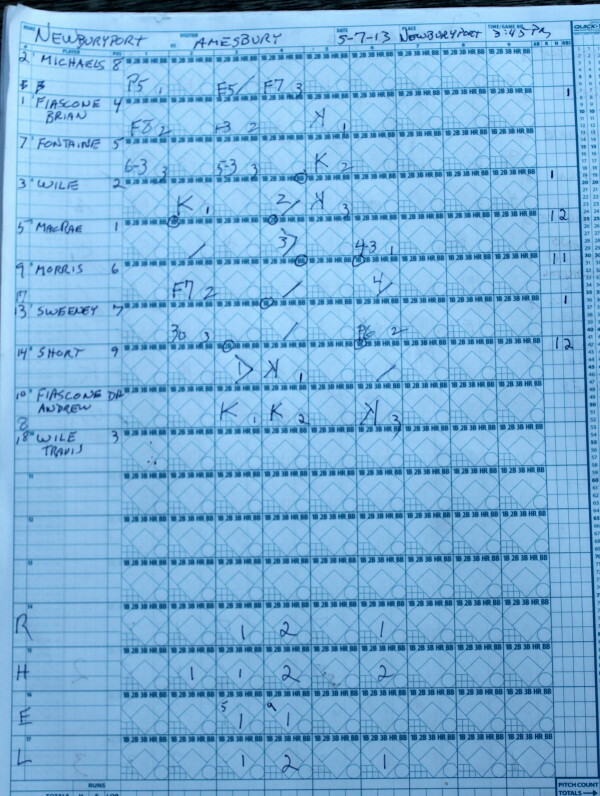 Saturday afternoon the Indians faced the hitting machine (20 hits) known as North Reading. This afternoon they faced the K-Master Connor MacRae and fanned thirteen times. Newburyport (7-4) defeated Amesbury, 4-1, on Tuesday afternoon in weather that needed no improvement. 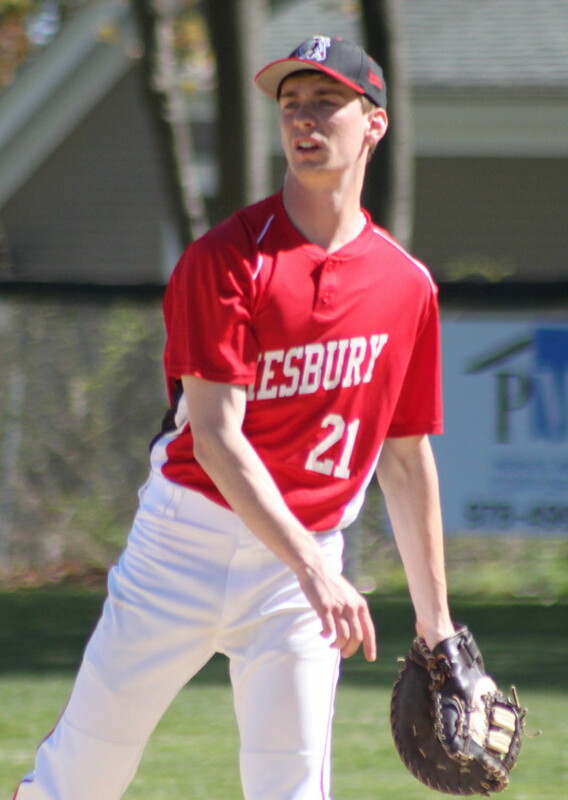 Andy Reidy pitched very well for Amesbury recording eight strikeouts and allowing only six hits. 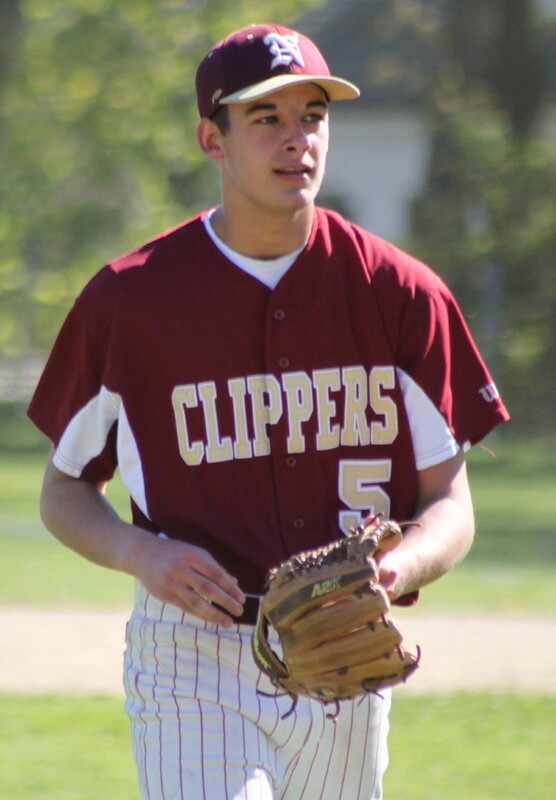 Senior Connor MacRae not only had the 13 K’s but also had two hits and scored a run for the Clippers. 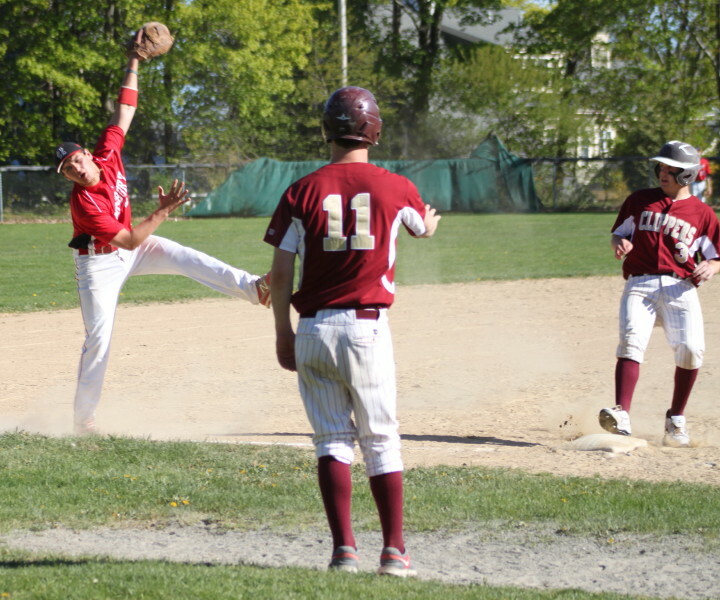 Amesbury (6-6) errors in the third and fourth innings led to Newburyport runs and questionable base-running snuffed out a promising Indians rally in the last inning. In the third inning, Ryan Short (2 hits/RBI/run scored) doubled over Devlin Gobeil’s head in centerfield. 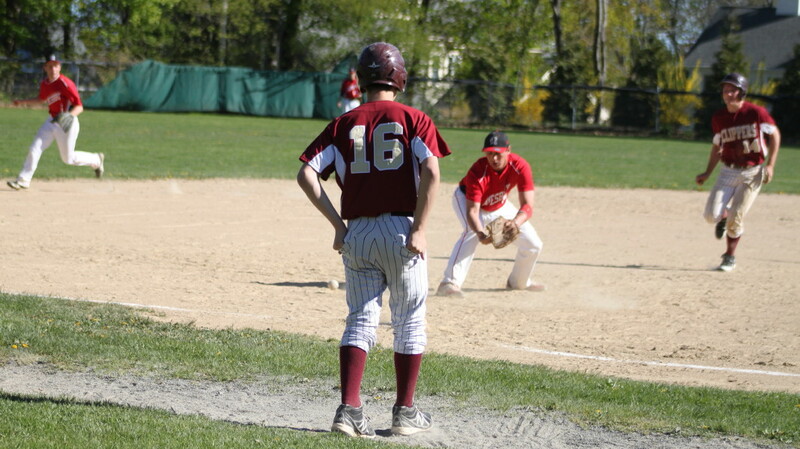 Third baseman Zack Fitzgerald then fumbled Ian Michaels’ grounder and Ryan reached third with one out. Five days ago the suicide squeeze failed against Manchester-Essex. Not today. Brian Fiascone put a bunt in play and Ryan scored the Clippers first run without drawing a throw. 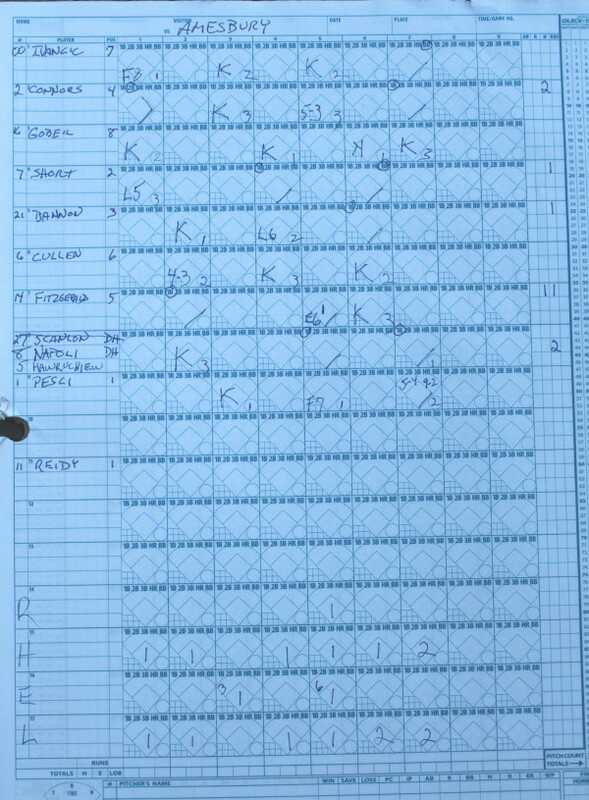 In the fourth inning two more Newburyport runs would score. A walk by Connor Wile was followed Connor MacRae’s deep-shot double to right. The throw in from the outfield (John Pesci) sailed over third base allowing Connor Wile to score and Connor MacRae to take third. 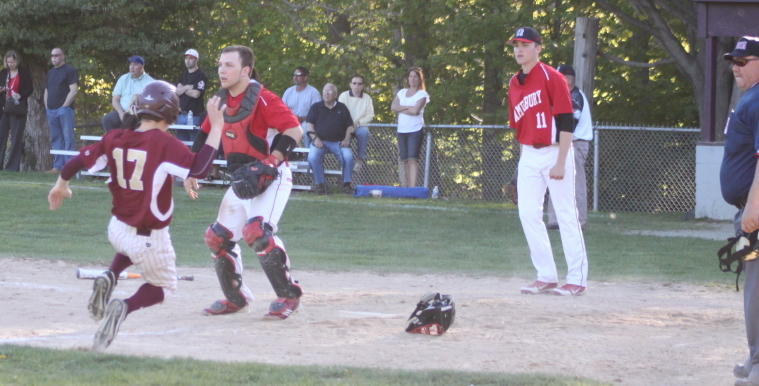 Connor MacRae came home when Mike Sweeney flaired a single over Amesbury’s drawn-in infield. 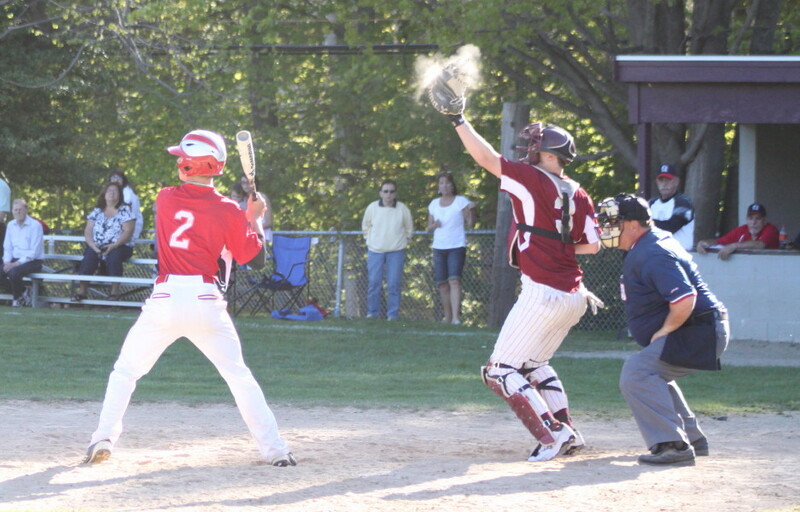 Down 3-0, Amesbury collected a tainted run in the fifth inning. Zack Fitzgerald reached on shortstop Colby Morris’ bobble to lead off the inning. Zack got to second on Matt Napoli’s single and scored on two passed balls by NHS catcher Connor Wile. The Clippers added a run in the sixth thanks to the speed of Chance Carpenter. Chance pinchran for Colby Morris. 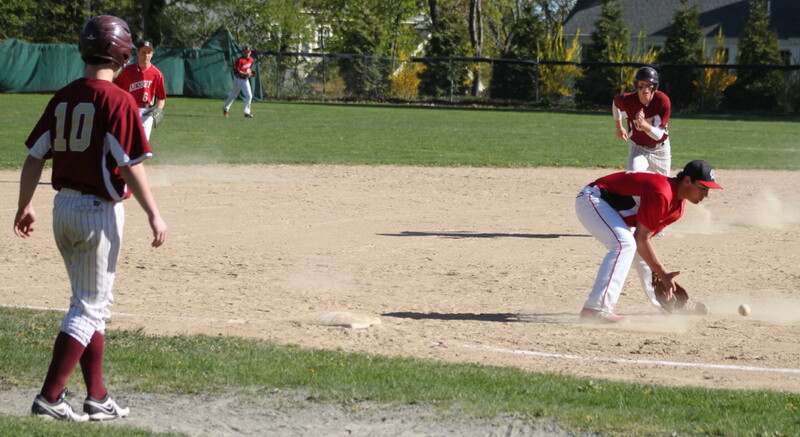 When the speedy junior took off for second, pitcher Andy Reidy threw to first. By the time first baseman Shawn Bannon’s throw reached second, Chance was easily there. 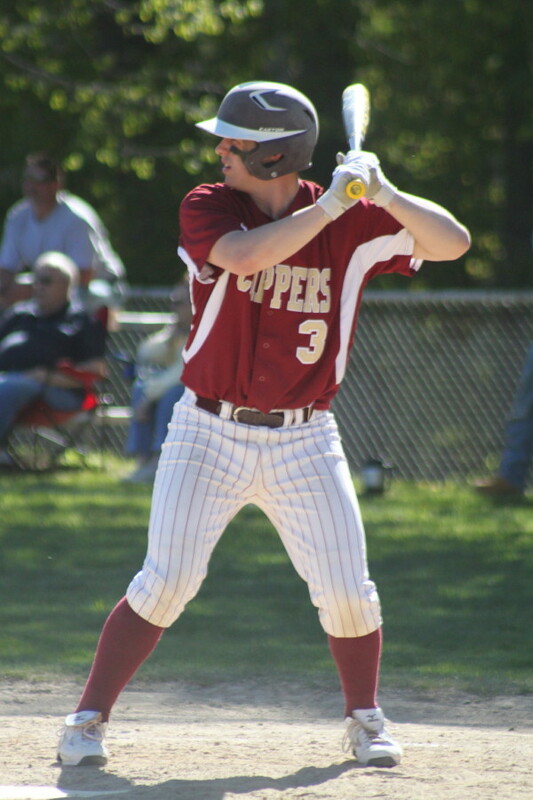 Ryan Short’s single to left center drove home the Clippers’ fourth run. 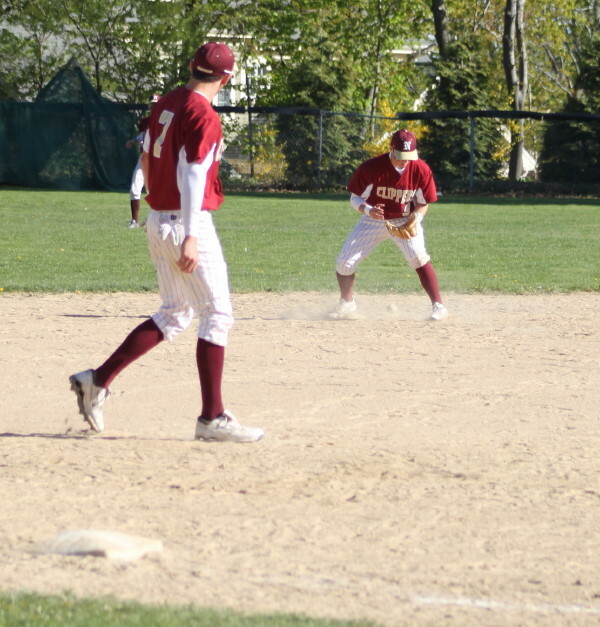 Amesbury’s questionable base-running happened in the last inning. The Indians had two runners (John Pesci and Adam Ivancic) on with one out down three runs. Tommy Connors singled sharply up the middle to centerfielder Ian Michaels. John Pesci tried to score but Ian Michaels’ throw home was there in plenty of time to record the second out of the inning. So instead of bases loaded with one out, the Indians had two on and two out. Connor MacRae then K’d Devlin Gobeil to end the game. Newburyport has now won four straight and five of their last six games. They next play on Thursday at Georgetown. Andy Reidy allowed six hits and struck out eight. Amesbury has now lost two straight after winning three straight. They will be hosting Triton on Thursday. 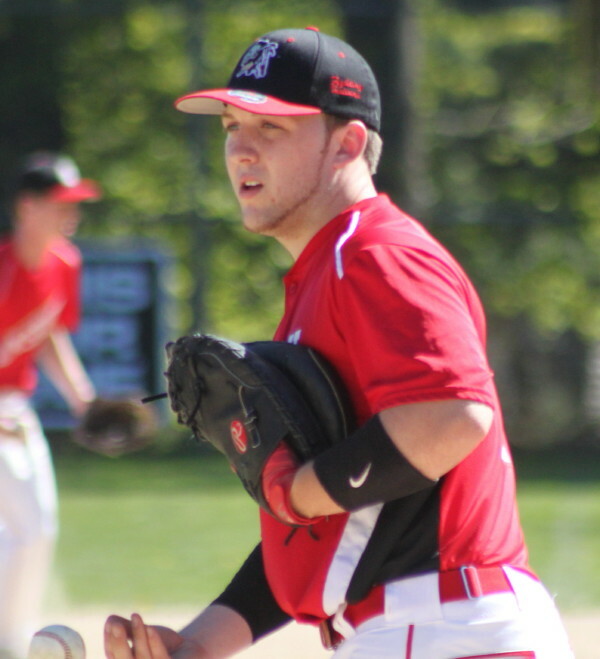 Tommy Connors and Matt Napoli led Amesbury with two hits each. Devlin Gobeil had the Golden Sombrero. Connor MacRae struck out at least one Indian in each inning. He K’d the side in the third. Andy Reidy struck out five Clippers in a row including three straight in the fifth inning. Former AHS principal Les Murray found time in his busy schedule to take this game in.